Haven't posted in a while. 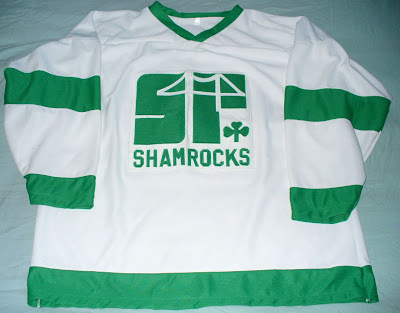 Am probably going to start to run out of jerseys to post unless I include some jerseys I don't have. 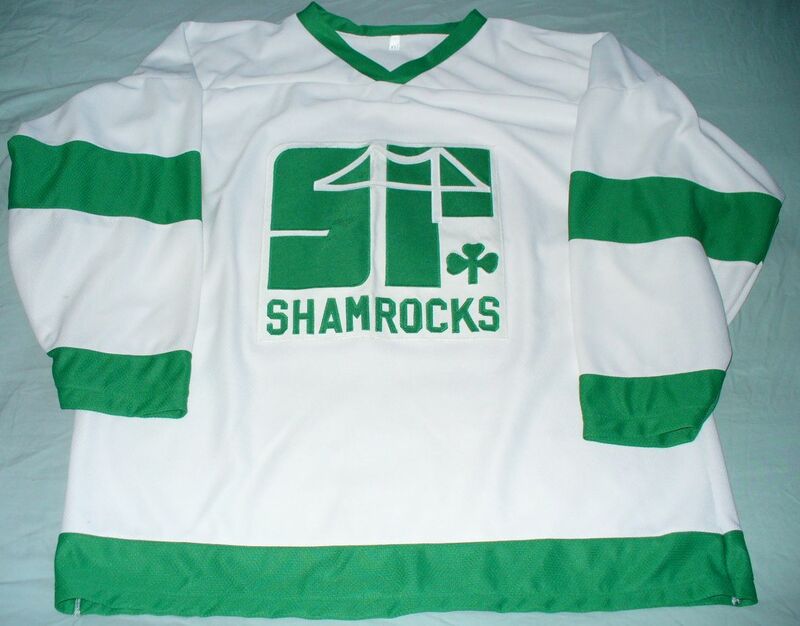 If you don't already have your own blog, feel free to email me with some of your DIY or favourite personal hockey jersey and some info and I'll probably post it all here. Maybe I should start posting some of my wife's crafts or some other stuff. 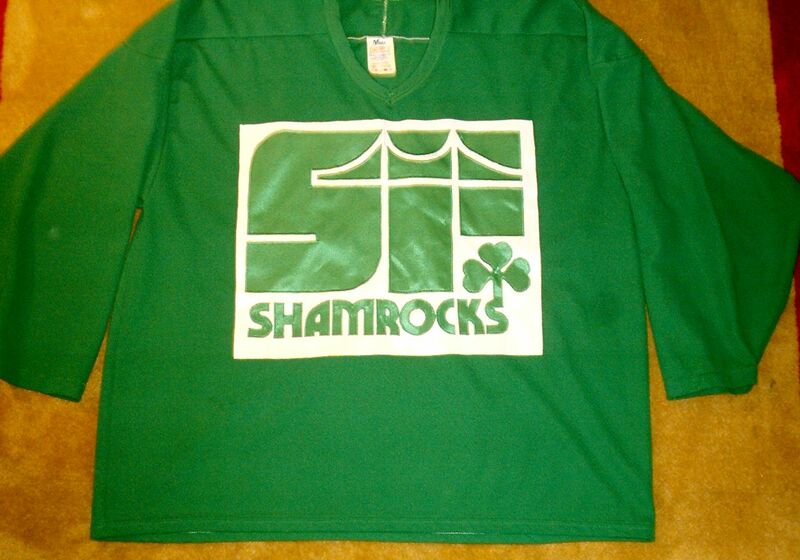 Usually wear one of a pair of a set of green jerseys at hockey at whatever day is closest to St. Patrick's Day. The green one is a practice jersey. 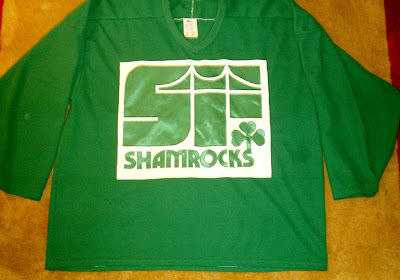 I found the logo online, like it, and decided to made it out of twill and sewed it onto a blank green jersey. 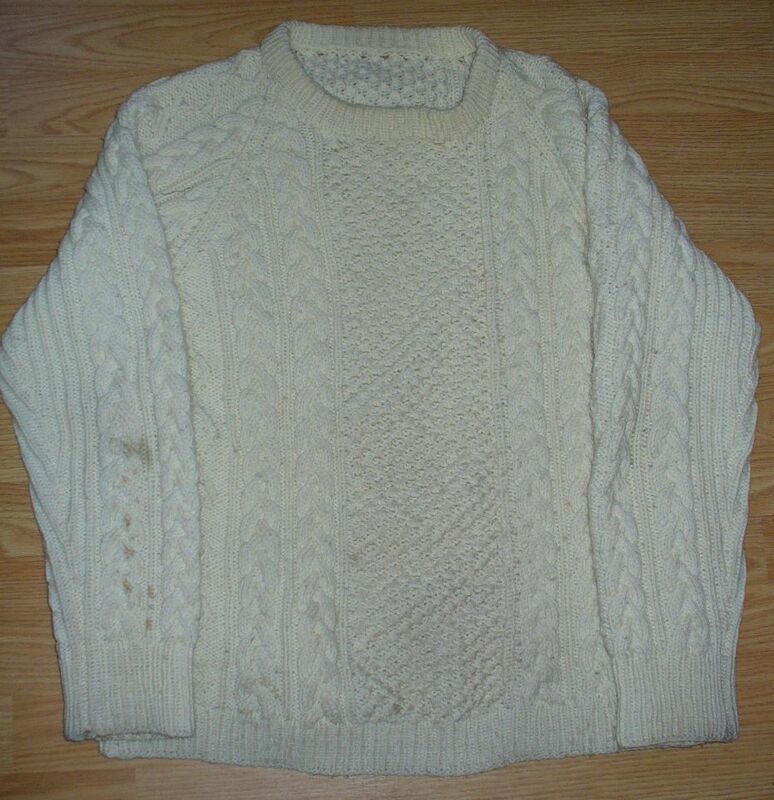 The white one I later found on Ebay. Wore them both this past Thursday at hockey. 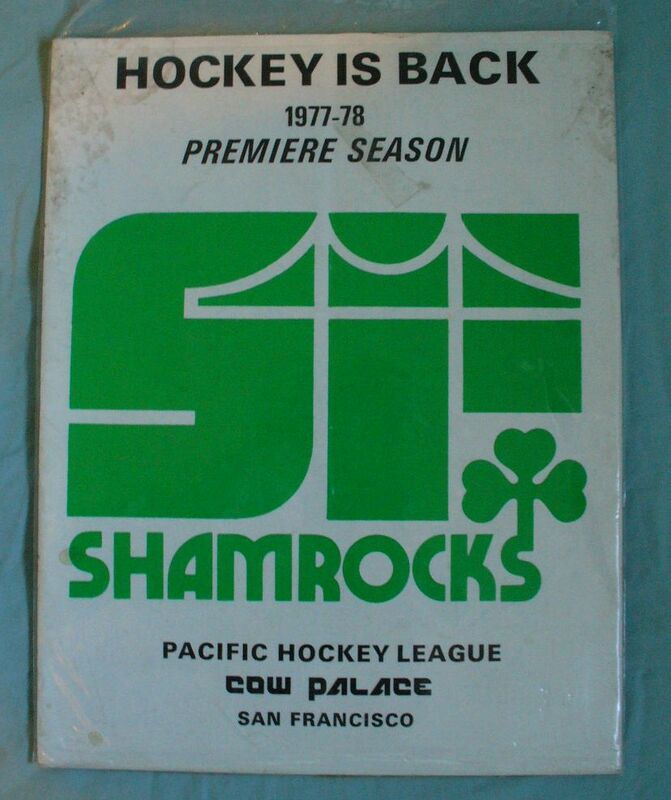 Also picked up this booklet off Ebay on the San Francisco Shamrocks of the PHL league of the 1970s. 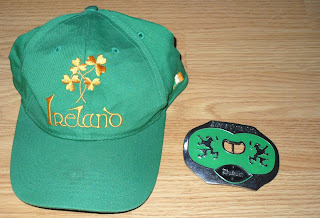 When I am out and about on St. Patrick's Day usually wear my cable knit sweater along with my green Irish hat and if wearing a belt this belt buckle; the hat and sweater probably need a good cleaning. 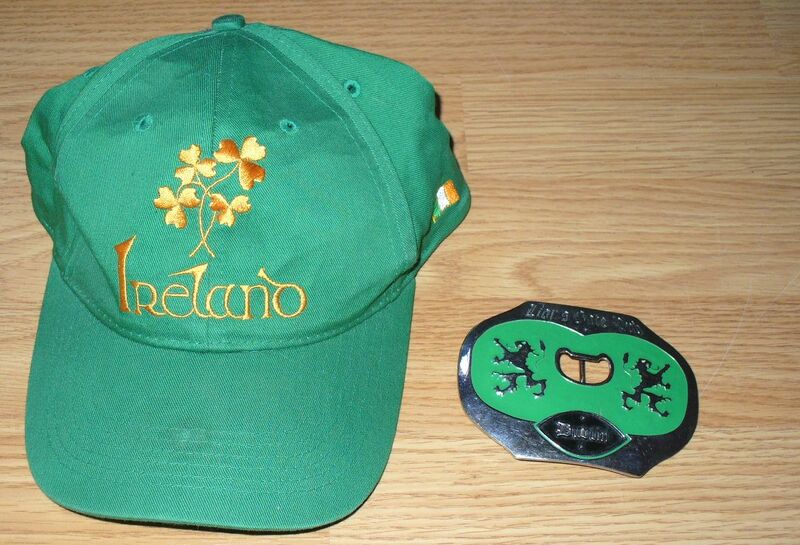 I have some Irish heritage on my mother's (Baxter is her maiden name) side. Apparently generations ago those ancestors lived around Cork in Ireland. Yesterday was St. Urho's Day. http://www.sainturho.com/ . 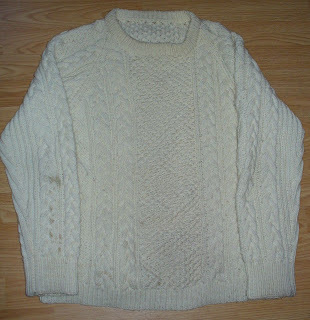 The Thunder Bay links are ones I sent to this website, and the button is one I found at a local thrift shop. I guess that's all for today. 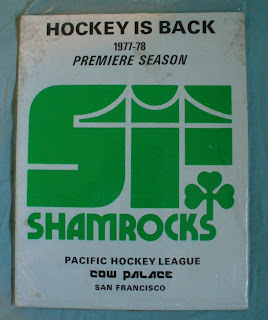 Going to have supper soon and maybe do some work on a DIY white, maroon and gold squirrel hockey jersey. Will post some pics when further along with it.